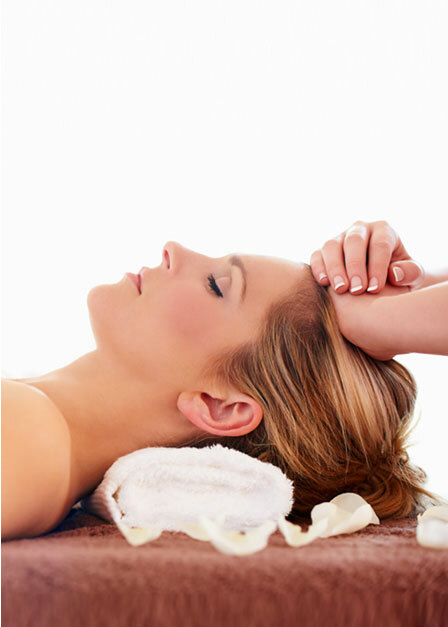 This relaxing facial is personalised to suit your individual skin requirements. A perfect pick me up facial for an instant boost. Suitable for all skin types and an excellent introduction to Skin Care Products. Specially designed for the teenage skin. Advice on how to continue looking after your skin at home is given. This facial treatment incorporates a unique blend of highly effective Massage techniques (also known as Facial Rejuvenation-Face Lift without surgery) with complementary techniques from Japanese Facial Massage. The Massage techniques used help to lift and tone the muscles in the face and neck. Designed to help ease tension and to relieve and calm the emotions of the mind. Focusing on the scalp, face, neck and shoulders, this treatment helps to relieve headaches, stress, muscle tension and promotes sleep.